ELICA IS - Website of foalyardkitchens! A world leader in the design and manufacture of range hoods for domestic use. Elica is movement and stability, expertise and curiosity, revolution and solidity. Since the start of its adventure in the 70s, the company has cultivated the principles that have distinguished it as a high qualified sector partner. Dynamism, constancy and refinement have always been the drive behind the change and the search for "New Air", which has always guided Elica towards unexplored horizons full of possibilities. The kitchen remains the centre of our homes, it is where we eat and talk, where we work and play. 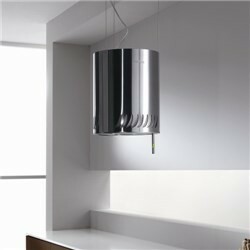 And at its heart, whether as a beautiful expression of Italian design or discretely hidden within its surroundings, an Elica cooker hood; quietly and efficiently purifying the air and illuminating the cook top, so you can enjoy the simple pleasures of life in your home. Clean air - Bright light - Elica Aria Nuova.